Here’s a little more about each of the blog categories featured on this site: Ayurveda Wisdom, Nourishing Recipes, Living Simply and Inspiring Initiatives. 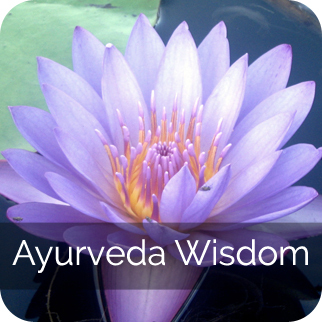 The articles on Ayurveda Wisdom reflect my thoughts and experiences with different “diets” (ranging from fad diets to pure veganism) which have culminated into a way of eating based upon an open and flexible application of the fundamental principles of Ayurveda – the ancient science of healing from India. I consider these fundamental principles to be universal and “holistic” in the sense that they are inherently inclusive and adaptive. They mandate that each of us explore and adapt our own path of healing in light of our particular place, culture and social norms as well as our unique mind-body types and sensitivities. While I continue to refine and adapt my diet to changing circumstances – including the external environment, new information, and my own health concerns – I’ve found that the fundamental Ayurvedic principles continue to serve as helpful guides amidst the ever-changing and increasingly chaotic modern food systems. 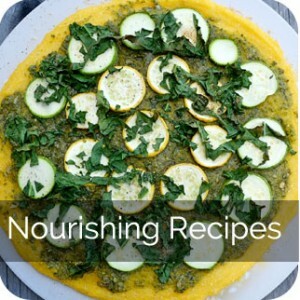 Nourishing Recipes feature dishes, food preparation techniques and foods that are healing on every level of our being, and are thus supportive of physical and mental health, vitality and inner-transformation. In the interest of the environment, I use mostly ingredients that can be grown in a temperate climate to ensure low food miles (with the exception of a few spices grown in a sustainable manner and in accordance with fair trade practices) and, for the most part, non-animal based foods which are not only more sustainable (less deforestation, water consumption and pollution, carbon and methane emissions, etc.) but also healthier. 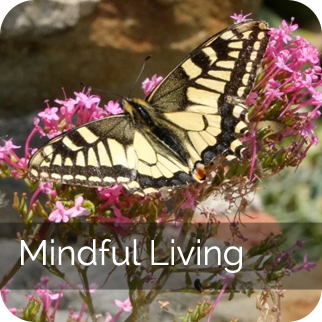 The entries on Living Mindfully mirror my husband Mike and my voluntary and joyful commitment to be more mindfully in our day to day lives and moreover, to radically simplify our lives – so that we can take time to slowly, gently and softly tune into the rhythms, cycles and longings of our world – including mother earth, our local communities, our families and our own selves. Our hope is to embrace and embody a more eco-centric and soul-centric way of being for the benefit of all and the planet. I come from a generation of convenience, where the pursuit of a professional career is what is valued most. I now aspire to learn basic skills that were once known by all but are now dying and becoming lost in our modern culture – such as sewing and knitting our own clothes, preserving fruits and vegetables, growing our own food, and becoming more resourceful at up-cycling “used” materials or products so as to keep them out of our waste stream. It’s what I have been preaching for so long as a longstanding environmental activist and lawyer but regretfully haven’t always devoted the “time” they deserve in the seeming busy-ness of being entangled in the fast paced city life. But I feel that for me, now is the time, to paraphrase Gandhi: “to be the change I want to see in the world” – in a positively awakening way. 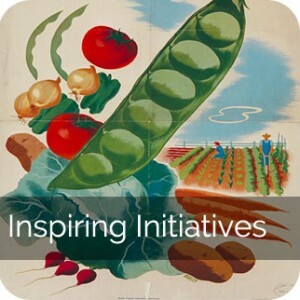 The articles on Inspiring Initiatives serve to inform and inspire us all to become more active in our communities which are incubators for effecting change and applying positive, solutions-based responses to our current food crisis. This cooperative effort is essential if we aspire to eat (and live) in a way that serves our overall well-being in mind, body and soul, and as well, protects the environment and ensures access to healthy food for all. It is my hope that you will be inspired to explore and discover what way of eating or types of foods are most suitable to your own well-being guided by the ancient wisdom principles of Ayurveda and, as well, be motivated to get involved in the sustainable food movement in whatever way you feel called – even if it’s just voting with your fork. May you be nourished in body, mind, soul and community! !